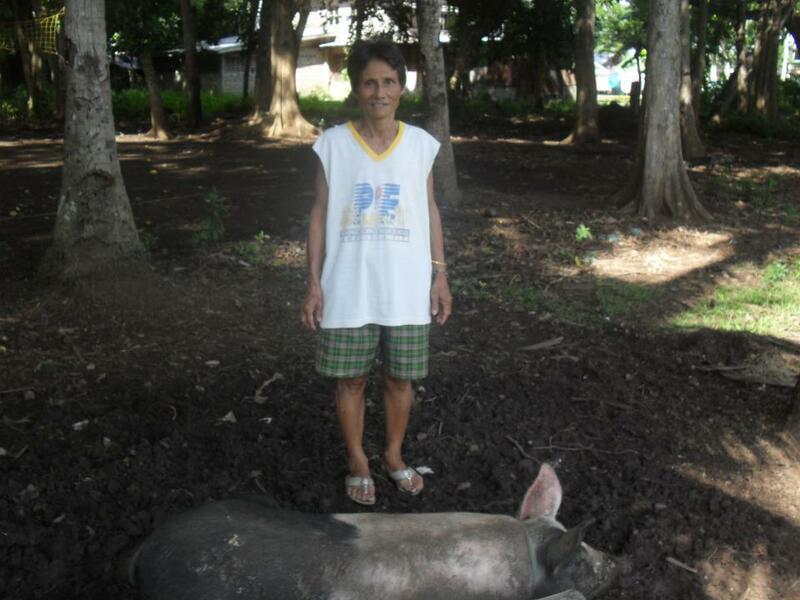 A loan of $175 helped to invest in expanding a hog raising business. Nieva S. is from the city of Barangay 5 Tangub City. She is 59 years old. Nieva is widowed and has 2 school-aged children. To make a living, Nieva owns & operates a business venture in the agriculture sector raising livestock. While not the only means for generating revenue, the main source of income for the business comes primarily from raising pigs for sale. Nieva has been engaged in her business for over 10 years and earns approximately 10000 PHP a month for these activities. In 2009, Nieva joined GDMPC to gain access to financial services to help improve her living situation and ability to engage in business activities. Nieva has successfully repaid a previous loan of 5000 PHP from GDMPC. Nieva is requesting a new loan of 7000 PHP which will be used to invest in expanding the business. This loan will be the second loan taken out by Nieva from GDMPC. She plans to use the additional revenue generated from the business to improve the general living conditions of herfamily. GDMPC is one of the most progressive cooperatives in Mindanao, Philippines. It has four branches and three units offices covering the provinces of Zamboanga del Sur, Lanao del Norte and Misamis Occidental. Its membership is composed mostly of farmers, fisherfolks and small entrepreneurs.